Properties in Punakaiki average 4.6 out of 5 stars. 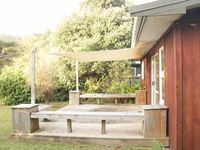 Property 2: Beachfront bach in the heart of Punakaiki. Seascapes Punakaiki a Luxury self-contained house. Property 9: Seascapes Punakaiki a Luxury self-contained house. Punakaiki room with a view. Property 10: Punakaiki room with a view. Property 16: Motukiekie beach. A jewel in the West coast crown. Property 20: Koru Beach Cabin/Bach. Free wifi/breakfast and hot tub. Westcoast is such a rough diamond, love it. The bach is great!